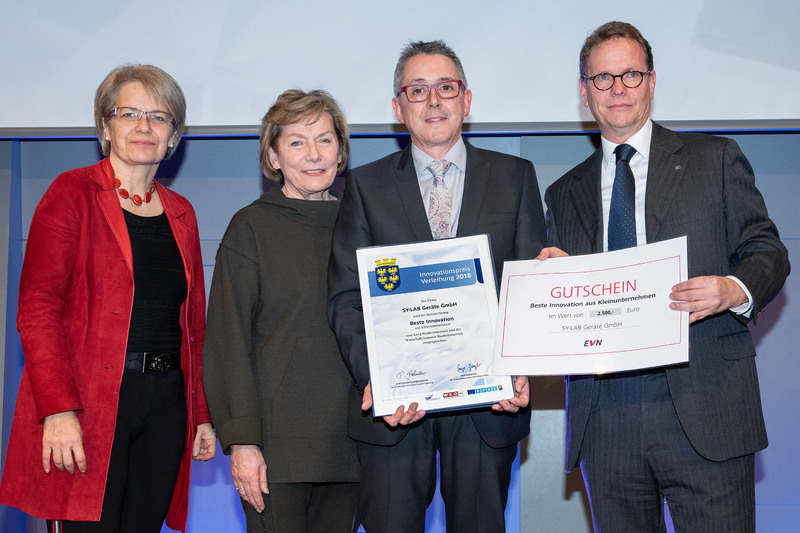 On Jan. 17th 2019 SY-LAB has been awarded with the Lower Austrian Innovation award for small-scale enterprise for its new AMP-6000® method for the enumeration of cheese spoiling clostridia. With this annual award the Austrian Chamber of Commerce and the local government of the district of Lower Austria are honoring the best local innovations. At the same time the new method has been nominated by the jury for the 2019 Econovius Austrian State innovation award.